Quality Inn University hotel near the University of Florida. The Quality Inn® University is conveniently located near Shands Medical Center and the VA Hospital. The hotel is less than two miles from the University of Florida and eight miles from the Gainesville Regional Airport. Downtown Gainesville and the Gainesville Regional Airport are both minutes away. 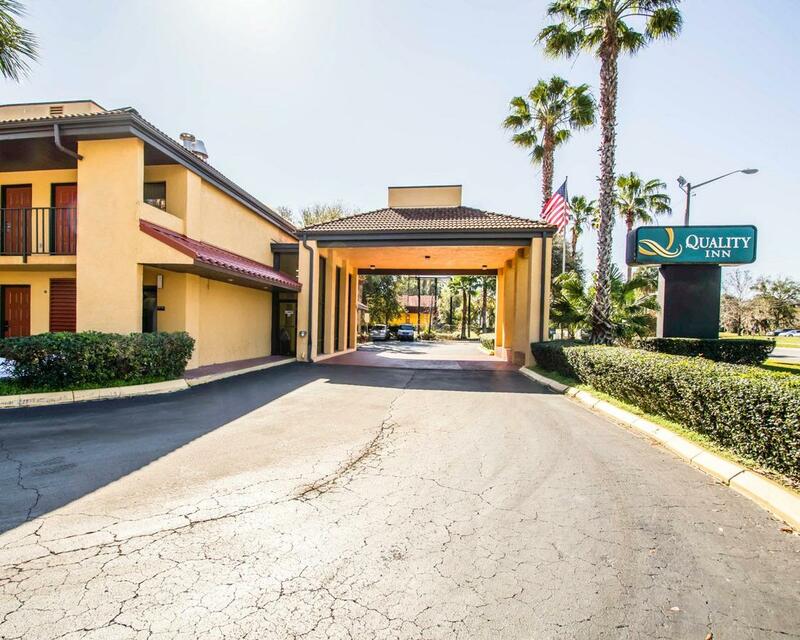 This Gainesville hotel is minutes from downtown and the many specialty shops at the Oaks Mall. There are a wide variety of restaurants and cocktail lounges located in the surrounding area. Guests are invited to enjoy Hot Breakfast, outdoor pool. Business travelers will appreciate conveniences like access to Business Center and competitive corporate rates.